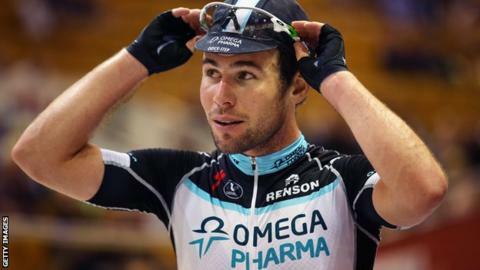 Mark Cavendish won the seventh and final stage of the Tour de San Luis in Argentina as he outsprinted Fernando Gaviria in a frenzied finish. Dani Diaz secured overall victory in his homeland ahead of Colombians Rodolfo Torres and Nairo Quintana. Isle of Man rider Cavendish, who began the last day in 90th place, got the better of Colombia's Gaviria, who edged him out in the first and third stages. "We rode a tactically smart race," Etixx-Quick-Step rider Cavendish said. The 29-year-old completed the final leg of the tour in two hours, 33 minutes and 29 seconds before paying tribute to overall winner Diaz. "This is the second time he has won this race and the Argentinians have a strong team," Cavendish told ESPN. "It's the height of their season, so it's good for the European pros to race here. It's very hot here. "It was a good race for the fans and the riders."